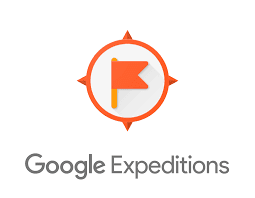 We've just started piloting 'Google Expeditions' in some of our Middle school science classes before a whole-school roll out, so I thought to share some resources and reflections. The allure of virtual reality is it allows students to go where a conventional field trip cannot. Although there is no substitute for going to a place to learn about it first hand, what if you'd like to take students to an international space station? Or through the human digestive system? You'll need access to phones in order for students to participate on expeditions. Typically, we see higher phone ownership in MS and in HS going to almost 100% ownership. Students (and the leading teacher) will have to download the 'Expeditions' app and then through the app, the teacher will lead the expedition as a guide or 'lead' and students will be followers or explorers. Browse a list of expeditions on the app or see this sheet which has photospheres and more descriptions.